Enter for Your Chance to Win 1 of 4 Thunder Raffle Tickets! 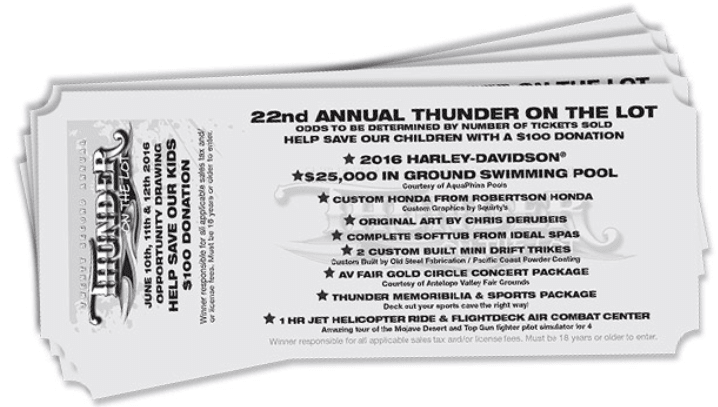 Cullen Insurance Agency is offering a chance to win 1 of 4 Thunder on the Lot raffle tickets! Each ticket retails at $100 and is good for a chance at winning one of many awesome prizes being offered during this year’s Thunder on the Lot! All you have to do is visit this page to “Like” us and you will be entered for your chance to win!